The course covers keeping yourself safe and triage of casualties. It also covers many different types of catastrophic injuries and how to treat them. 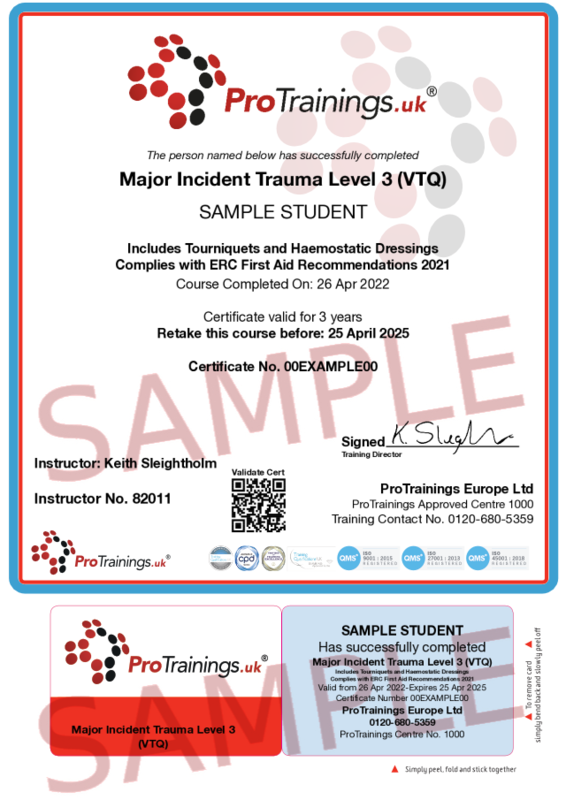 This video online course is also available as a classroom course nationally or as a blended course where you learn online and then complete a practise session with an approved ProTrainings instructors locally. This course comes with 3.0 hrs (5.0 class) of CPD, although the time to complete the course online may be less than this. Total course time includes 2 hours and 59 minutes of video training as well as knowledge reviews, final test, remedial help and reviewing downloaded material. LO1. Understand the hazards that pose a risk to personal safety when dealing with a major incident and performing a dynamic risk assessment. LO6. Explain the concerns and treatment of different types of catastrophic injury. LO11. 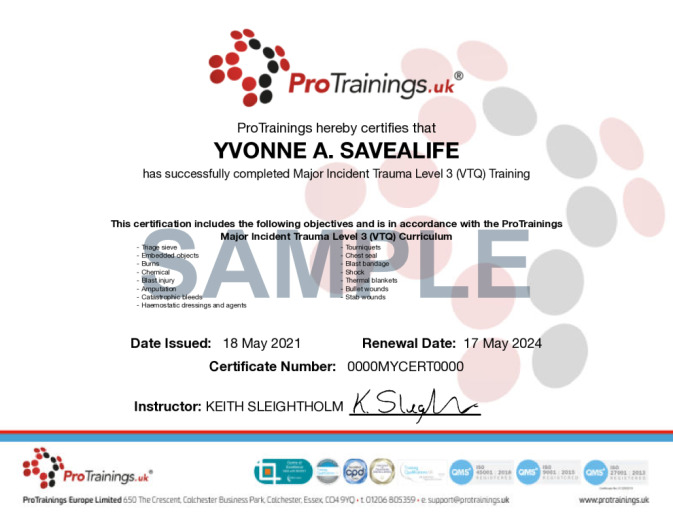 Understand the concerns of post-traumatic stress.